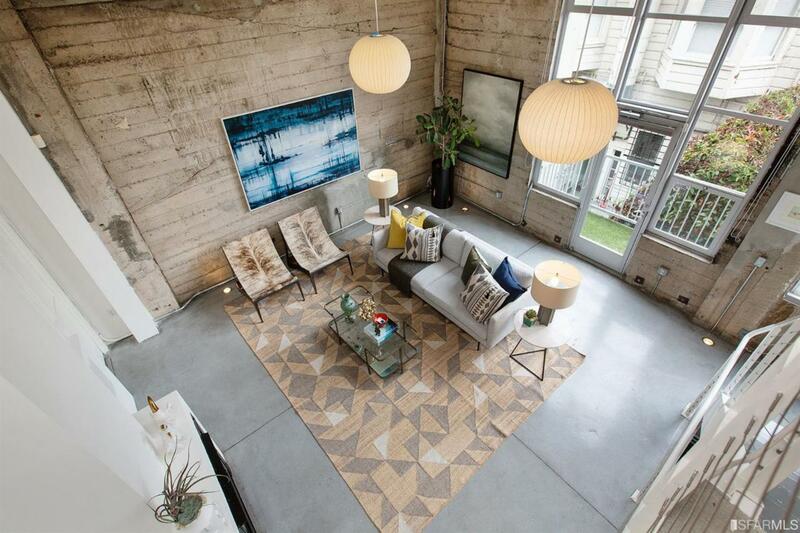 New-York-style living in historic conversion building Theatre Lofts, spanning 3 levels in the heart of vibrant Haight St. 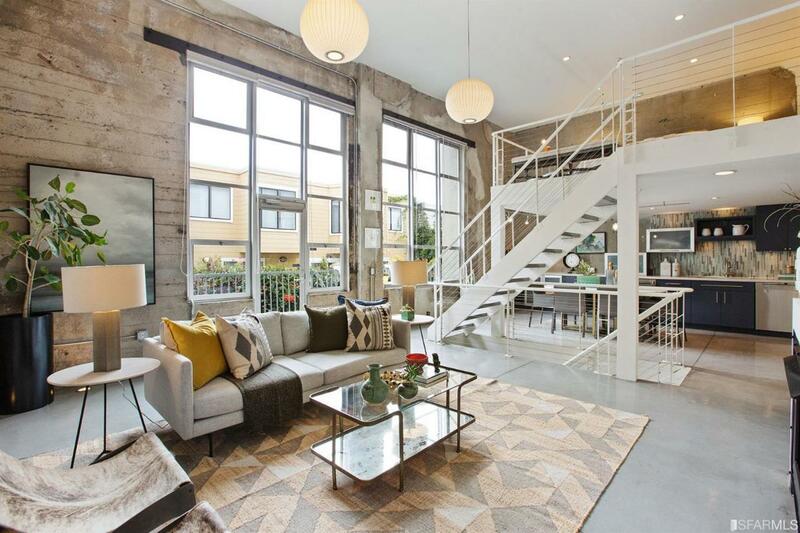 Formerly the 1920's Riviera Movie Palace, this chic industrial building features double height windows, steel beams, vintage polished concrete and great ceiling volume. Main level is open concept w/ gas fireplace in LR and beautiful eat-in kitchen w/ Viking + Miele appliances, and plentiful counter space. Upstairs en-suite loft bedroom + office nook, ideal for guest quarters or a live/work. Lower level has the en-suite master and separate walk-in closet area. Adjacent enclosed room w/ fireplace offers option of a 3rd bedroom or FAM room. 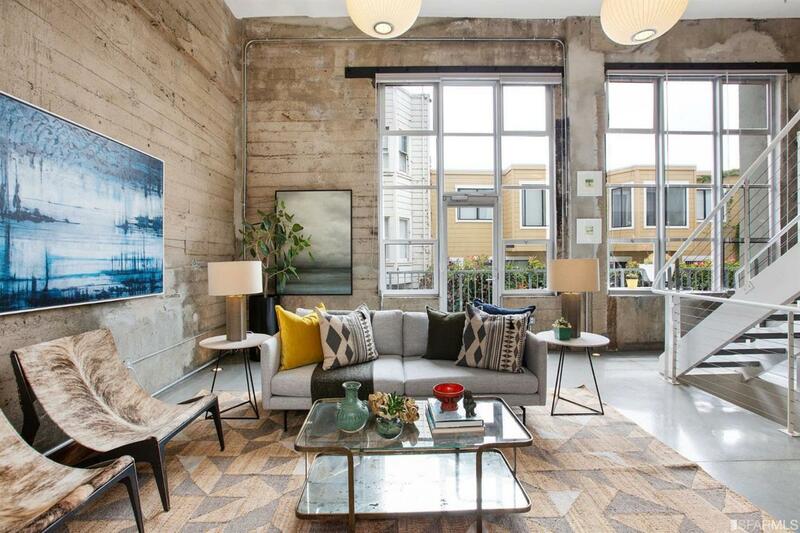 Location is hard to beat, close to Duboce, Divis + Hayes! 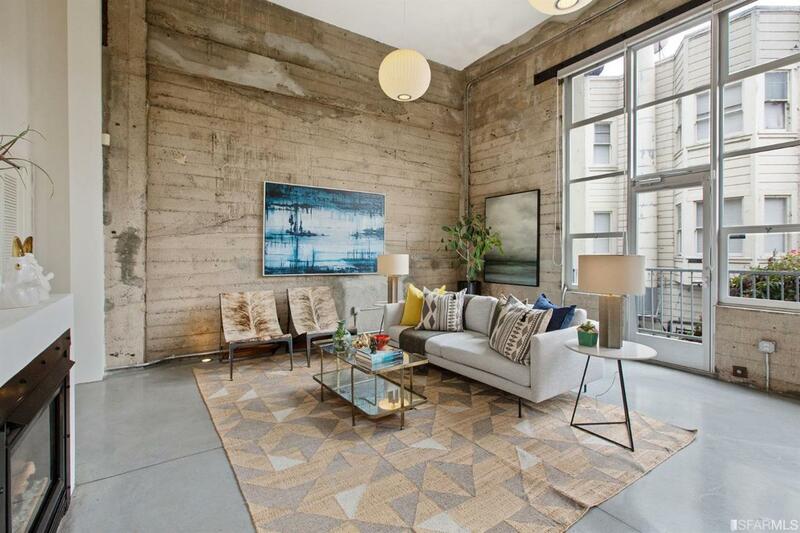 Listing provided courtesy of Helena Zaludova of Compass Sf.